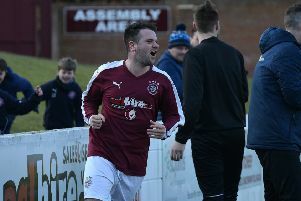 WHITEHILL WELFARE’S six-year stay in the Lowland League will come to an end next month after their relegation was confirmed on Wednesday night when second-bottom Dalbeattie Star drew 2-2 with Spartans. Ian Little’s team have three fixtures still to fulfil, including tomorrow’s re-arranged encounter with Gala Fairydean Rovers, but they now cannot catch their Dumfriesshire counterparts – the only side the Rosewell club have beaten domestically this season. It has been a hugely disappointing campaign for the Midlothian outfit, in which they have won just once and drawn five from 25 games. 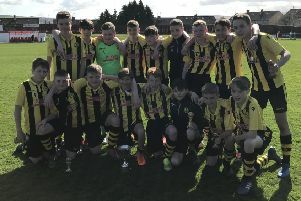 A place in the new-look 16 team East of Scotland Premier League next term beckons for the Ferguson Park men, with the club’s committee now preparing for a summer overhaul of the squad. Perhaps, a significant factor in Whitehill’s downfall can be put down to three separate managerial changes conducted at various stages of the season, resulting in a high turnover of players. Gary Small’s shock departure just two games into the new campaign set the tone and his predecessor Jock Landells lasted under two months in the role before former Berwick Rangers coach Little, inset, was appointed. The 45-year-old’s first match in charge saw them crash out of the Football Nation Cup against Kelty Hearts, but he managed to steady the ship somewhat by earning a point each from matches against Dalbeattie, Spartans and Cumbernauld Colts over the coming months. A first victory under Little has failed to materialise following a catalogue of narrow late defeats, but with a League Cup clash against BSC Glasgow later this month, Whitehill will be eager to finish the season on a positive note. Meanwhile, Spartans frontman Jason Stevens was relieved to end his lengthy goal drought during the week. The former Vale of Leithen star has struggled to force his way into manager Dougie Samuel’s starting line-up and de-throne preferred strike duo Jack Smith and Blair Atkinson. However, his four-month wait without a goal is now over after his tenth-minute opener at Islecroft put the Capital club in front. Scott Milligan and Ben Irving turned the game in Dalbeattie’s favour before exciting under-20s prospect Cameron Dawson earned a share of the spoils. Stevens admitted: “It’s been a frustrating season, but it was nice to get that monkey off my back. My last goal came against Vale at the start of December, which for a striker feels like a very long time ago! Elsewhere, two points separate fourth-placed Civil Service Strollers and Kelty Hearts in the table ahead of their clash at Christie Gillies Park. The Fifers ran out resounding 4-0 winners earlier in the season, but victory for either side tomorrow could have a significant bearing on who finishes runner-up to champions East Kilbride. “It’s another important game for us and one we must win if we want to finish ahead of the chasing pack,” stated Civil boss Gary Jardine.